So unfortunately many of my images from previous posts are apparently not recoverable – so I’m doing a re-post on grain filling because somebody asked for images. This time, I’ll cover how to do it with Epoxy instead of Egg Whites. However, the process is the same – the only major difference is that you must wet sand egg whites (you can’t scrape the surface like you can with epoxy). This is because it’s the mix of egg whites and sawdust that ends up filling the grain. If you have to choose one, I’d recommend epoxy – it’s much easier and faster than egg whites. Grain filling with egg whites is fun and nostalgic, but unless you love sanding (and I do not), I’d recommend going with epoxy. Epoxy usually doesn’t require more than one coat, making it quite a bit faster than egg whites. 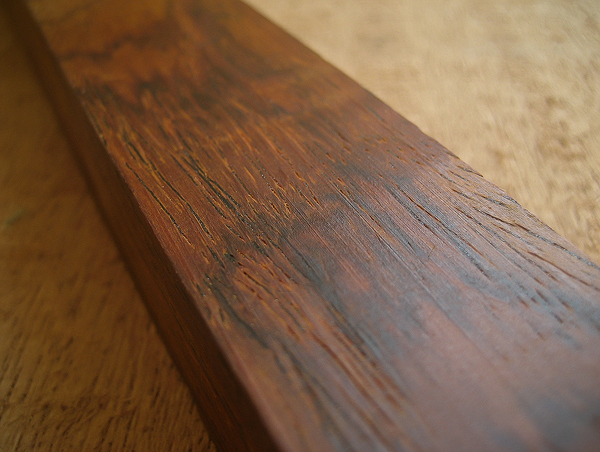 Since this is an entirely new post on grain filling, I thought maybe I should cover why it’s important – as you can see below, this is an open pored wood. This particular piece is Cocobolo. There are large open pores – and when you spray a finish (or try to apply a French polish), the pores will show up on the surface because the surface isn’t completely flat. The purpose of pore filling is therefore to fill up the pores, with the end-goal of creating a perfectly flat surface that is ready for applying finish. Proper pore filling will allow you to achieve a glass-like, smooth finish. Step one: Mix up a very small batch of epoxy. I use a five minute epoxy, and work on small patches at a time. I find this easier, but you can choose an epoxy with a longer open time if it suits your fancy. 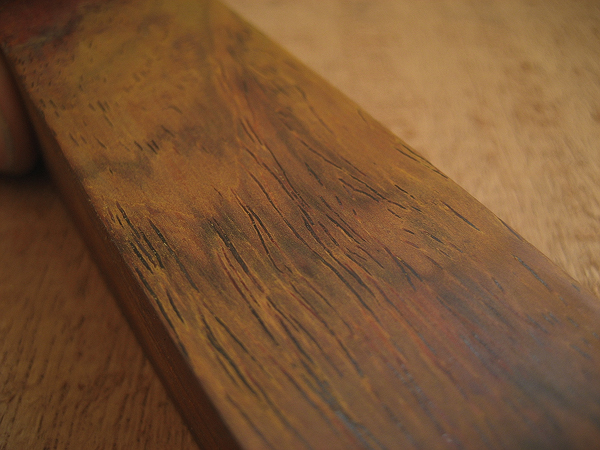 Step two is pretty basic – smear the epoxy evenly over a small area of your wood surface. Wipe it on both with and across the grain, making sure it goes into all of the pores well. You have to work quickly if you’re using an epoxy with a short open time, so don’t dally. The next step is to remove remove the epoxy from the surface using something flat. An old credit card, empty (empty!) gift card, or an old razor blade will work well for this. The purpose of this is to remove as much epoxy as possible from the surface of the wood, while NOT removing it from the pores. Mix up another batch of epoxy and repeat until you’ve covered the whole surface of your project with a thin layer of epoxy. Then make sure that you let the epoxy cure completely before proceeding to the next step. 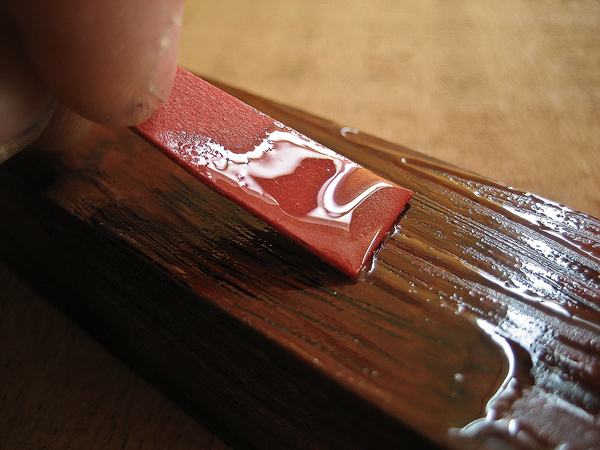 Once the epoxy has cured hard, you can use a razor blade, a cabinet scraper, or sandpaper to level the surface. 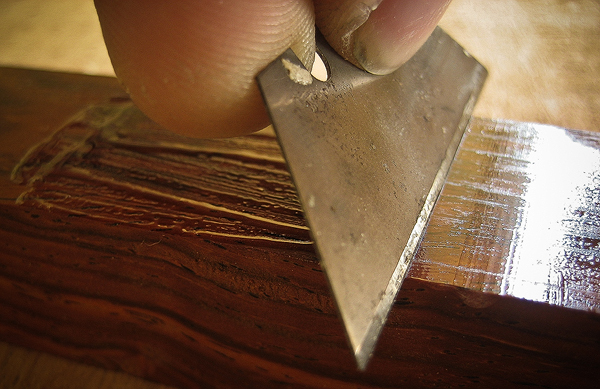 The razor blade is my preference – just be careful not scratch the surface of the wood. Use it like a cabinet scraper to scrape the whole surface flat, leaving epoxy ONLY in the pores (not on the surface of the wood). 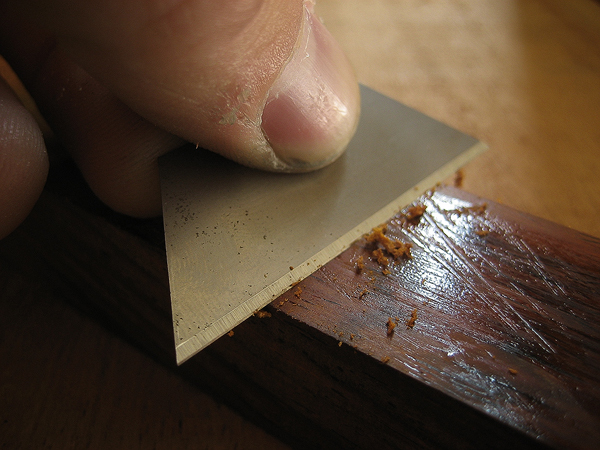 Once you’ve scraped the whole surface level, sand the surface with 400 grit sandpaper lightly. Be careful not to remove the pore filler that you’ve worked so hard to put in place. The image below shows a properly filled surface after a light 400 grit sanding – you can see that it’s perfectly smooth and flat, and is ready for you to apply the finish. Epoxy shrinks less than other pore fillers, making it an ideal product for pore filling. It also dries clear. 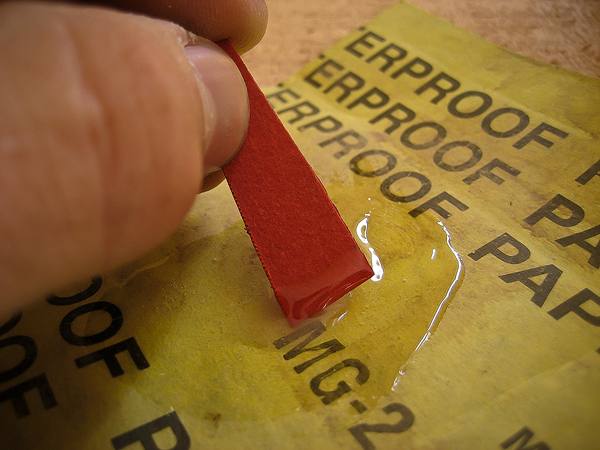 Make sure that you test your epoxy before using it for grain filling – it should dry hard. If it’s soft and gummy like rubber, don’t use it. The epoxy produced by “Gorilla Glue” sometimes dries like this, and is unsuitable for grain filling.